I don't think I've ever mentioned this before, but it's probably a good idea. I've hassled friends before about it (Jake, Jeff and others). Not 2 words either, mostly for the copyright infringement possibilities. 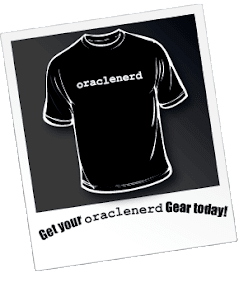 I first encountered this a few years ago when trying to create t-shirts with Cafe Press, they rejected Oracle Nerd, probably because of the Oracle part. That's when I made it one word, oraclenerd or just oraclenerd. Amusingly, I'm currently fighting with Facebook about their allowed name possibilities, no caps and no all lower-case. I already gave in to Katezilla, which annoys me. I wanted it to be all lower-case. 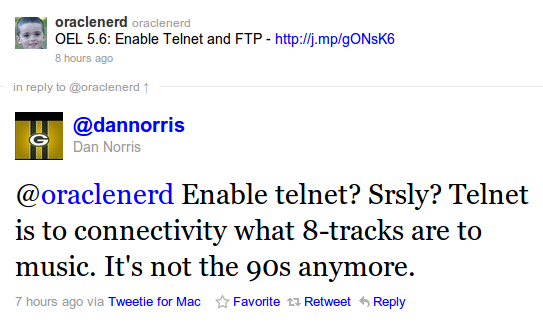 For oraclenerd though, I'm attempting to fight the man. We'll see. I got bit recently. I didn't ask for requirements and I didn't create a design document. Bad Chet. It made for a difficult time getting that first cut done...and I missed a few very important items. Talking with a friend today about it, and he kind of hammered the point home. Do the design document and you spend fewer cycles spinning your wheels. As an example he use a project we both worked on last summer. At first, he didn't do a design document and "struggled" for a couple of weeks. When it came time to do it again (it had been dropped from that first release), he started with the design document and it only took a week. Forced him to think about how to do it, the possible roadblocks and the ability to raise those roadblocks to the appropriate people. 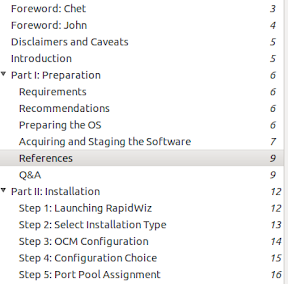 For whatever reason, I had never thought of the design document in terms of OBIEE. I don't know why, it just was. For OLTP type applications, I would always, at a minimum, create a Visio diagram. That would allow me to quickly and easily spot any problems. That world is much more intuitive to me, so I can visualize it easier. 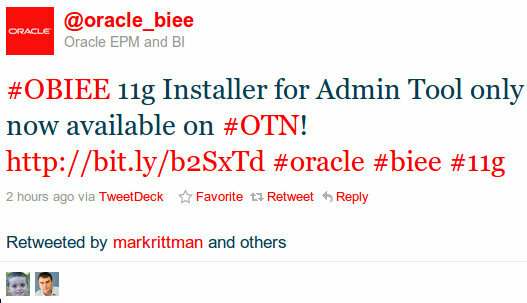 OBIEE, not as easy. So here's my pledge to, no matter how much I loathe formal design documents, to go forth and create formal design documents. After all, this is development, just a different tool (and a layer of abstraction). No more ad-hoc development for me. 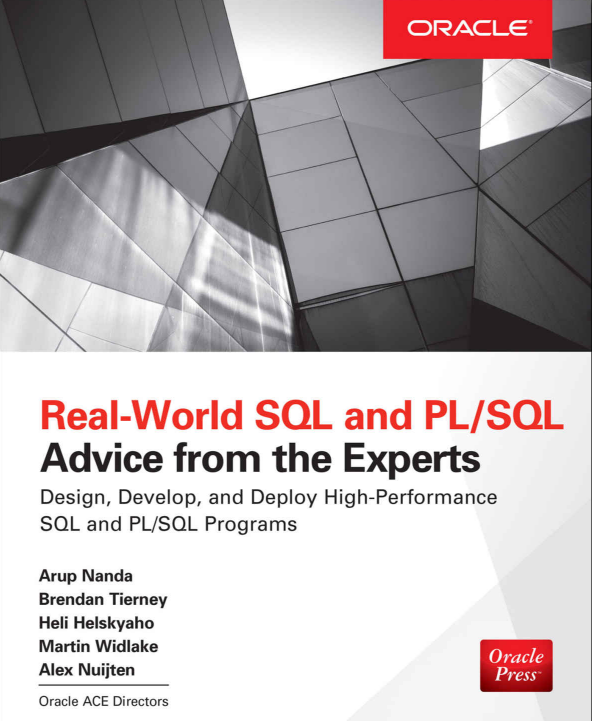 After last week's presentation on Advanced Oracle Troubleshooting, my interest in knowing and understanding performance related matters has been rekindled. Well, I've always been interested, I just don't know what I'm doing. In that regard, I'm trying out some tools. Today it is MR Trace, or Mister Trace as the folks at Method-R like to call it. 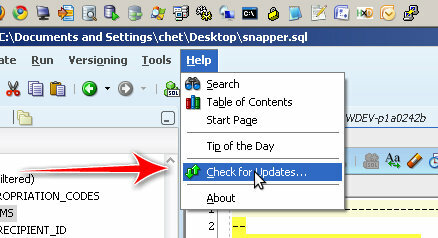 They have a nice little SQL Developer plugin so I don't have to think a whole lot, which is good. I need to save those cycles for more important things. 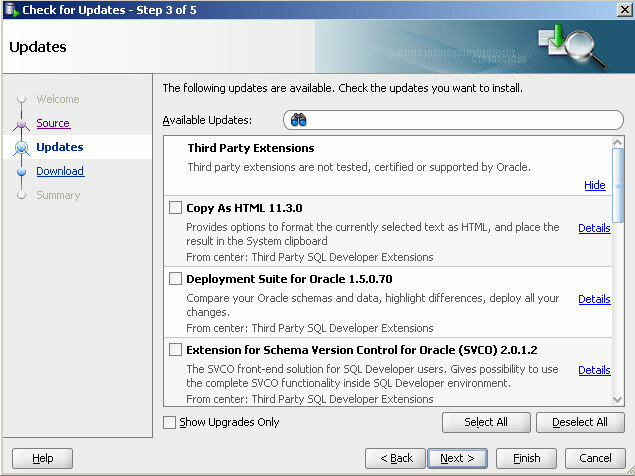 ...is our company’s extension for the Oracle SQL Developer interactive development environment. 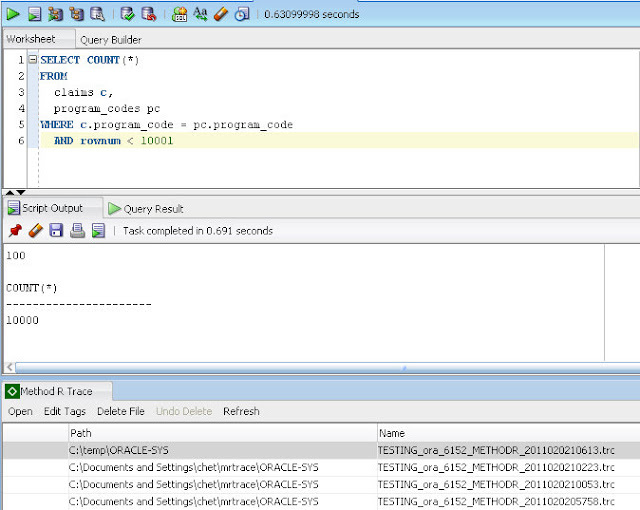 It is a zero-click Oracle trace file collector. 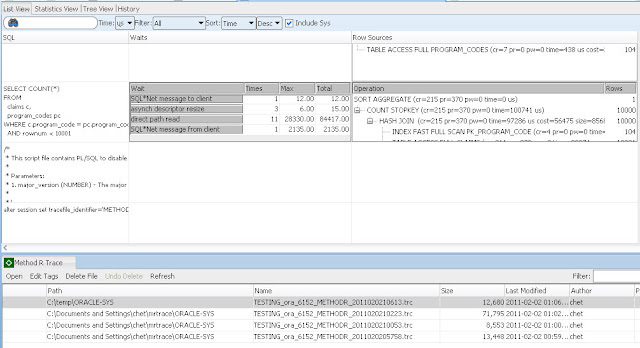 Every time you execute SQL or PL/SQL from your SQL Developer worksheet, MR Trace (we call it “Mister Trace”) automatically copies a carefully scoped extended SQL trace file to your SQL Developer workstation, where you can tag it for easy lookup later. The main panel lets you manipulate all the trace files you’ve collected. You can click to open a trace file with any application you choose, like the Method R Profiler or your favorite text editor. 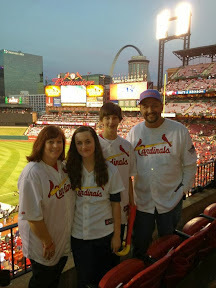 Now, I would encourage you to watch this short video featuring Mr. Millsap. Installation is a snap. I'll run through it real quick here. Scroll down or do a search for trace. Dead simple appears to be their mantra, and we don't get far from that. You are prompted to choose how you want to do this. Since this is my sandbox, I just went for public to make things easier. Doing so requires SYS access of course. 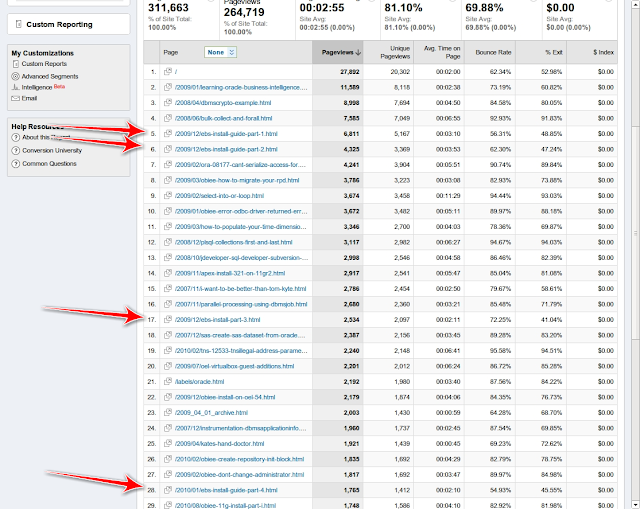 After that you get a splash page from Method-R.
That first row highlighted in the bottom pane, that's my trace file. Now, I don't have much of a clue about what all these means. That's the next step. I like that this really is "dead simple," especially when it comes to us developers. Simple is good and usually appreciated. Martin suggested checking out Trace Analyzer or TRCANLZR, which can be found here (MOS account required). Looks pretty neat, but again, I should kinda learn what the heck these things are telling me before I get too far along. If you have a suggestion for a tool to check out, leave it in the comments. Hopefully I'll be able to get to it soon.